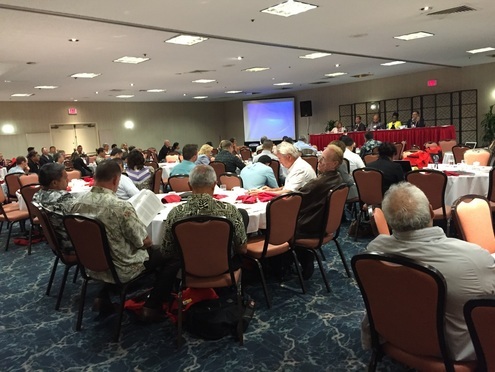 ​The 2019 Business Summit Conference sponsored by NHOA will be on May 21-23, 2019, at the Prince Waikiki Hotel. If you are considering getting into federal contracting or if you are an established federal contractor, this is an event you don't want to miss! The 2019 Business Summit Conference agenda features plenary sessions, break out sessions, matchmaking and more. View the current agenda by clicking the link below. The 2019 conference will feature matchmaking that's focused on results. To ensure matchmaking is a success for all participants, including new and more established firms, NHOA has hired govmates to manage the conference matchmaking. Govmates is a small-business experienced in matching small businesses with actual opportunities. How does govmates conference matchmaking work? Govmates uses a cloud-based matchmaking platform to make targeted, result-driven matches. Small businesses who register for the conference will create a profile on the NHOA conference matchmaking website and provide information to facilitate matches. Govmates will collect large businesses/government representatives requirements for matches. Small businesses will get their matchmaking schedules before the conference to ensure sufficient time to prepare for their matchmaking sessions. To participate in matchmaking, you must register for the conference and matchmaking by Friday, May 10th. NHOA truly values the support of our corporate and community partners. We invite you to again partner with us to continue the success of the NHOA Business Summit. For more information about sponsorship opportunities, please click on the button below to visit the Sponsorship Opportunities page. This year's Business Summit will be held at the Prince Waikiki Hotel. The Prince Waikiki Hotel is located at the gateway to Waikiki, and each of its hotel rooms provides guests with an ocean view. The venue is also within walking distance of Ala Moana Shopping Center, Waikiki Beach, numerous restaurants, and various nightlife and entertainment options.